Thinking about trying Pilates but not sure it’s for you? Dawn Fazackerley-King of Target Pilates is running a taster session on 11th October @ Head2Toe Physio Crawley. You can book direct with Target Pilates by following this link. The class is just £8 for a 55 minute Pilates session. This entry was posted in Head2Toe News on October 4, 2017 by Sam Bowden. All the team at Head2Toe want to congratulate Mel Bowden for her charity Skydive today. She actually jumped out of a plane from 15,000 feet! The Skydive was in aid of the Royal Marsden NHS Foundation Trust. She joined Steve Brooks Gayton Veterinary Group in supporting a fantastic cause and together they have all raised over £10,000. They were originally supposed to jump from 10,000 feet but that seemed a bit too easy for Mel and her co divers. They decided to go the whole hog and dive from 15,000 feet, reaching speeds of 125mph. (Gareth and I were very relieved that Mel chose to take this one for the team)!! If you or anyone you know would like to donate anything to the Royal Marsden through Mel’s just giving page, follow this link. JustGiving sends your donation straight to The Royal Marsden Cancer Charity and automatically reclaims Gift Aid if you are a UK taxpayer, so your donation is worth even more. This entry was posted in Head2Toe News on December 4, 2016 by Sam Bowden. 10% off Xmas Massage Voucher with new Head2Toe Crawley Massage therapist Rosa Bowley. We welcome Rosa Bowley to our Crawley Massage team. At Head2Toe Physio clinics we know that what our Physiotherapists do best is ‘Physiotherapy’. We wanted to offer our patients high quality massage to complement our Physiotherapy and set about appointing dedicated massage therapists. At Head2Toe Physio Clinic Crawley, our massage therapist is Rosa Bowley. If you would like spoil a loved one and take advantage of our 10% off Xmas Massage Voucher, email us at admin@head2toephysio.co.uk, call 01293 535884 or contact us here. This entry was posted in Head2Toe News on December 1, 2016 by Sam Bowden. Tennis Elbow – inject, physio or wait and see? How should we manage chronic Tennis Elbow? Tennis elbow is one of the most common upper limb injuries we see at Head2Toe Physio Clinic. Tennis elbow is really an umbrella term used to describe pain on the outside of the elbow and radiating into the forearm. The complication is that the pain could be arising from faults with various structures, including the neck, elbow joints, muscles, tendons, nerves or a combination of two or more of any or all. In the literature tennis elbow is also known by other names such as lateral epiconylitis, lateral epicondylalgia and lateral elbow tendinopathy. Patients often describe pain on activities like gripping, lifting, twisting and its not uncommon for pain to be brought on by a spell of digging in the garden, return to tennis after a winter off or a weekend of putting together flat pack furniture! It’s common for our Physiotherapists to see Tennis Elbow patients after a few weeks or months of pain. By the time they get to us, patients have normally rested, iced, taken some ibuprofen and possibly done some daily stretches, especially if they’ve been researching on google beforehand. The most common frustration is that after a period of rest, avoiding sports and heavy work, things start to feel better, only to return with a vengeance once they try to start again. The questions we get asked are, What is it? Why have I got it? Why will it not go away? Should I take the steroid injection on offer from my GP? Will Physio help? In a recent review piece, Bill Vincenzino (2016), outlines some of the current research findings. He notes that research seems to indicate that for short term pain relief, steroid injections work well, with 78% of patients who had a steroid injection reporting good relief at 6 weeks, compared to only 27% in those patients who are careful not to make things worse but essentially just wait and see how things will go (Bisset et al, 2006). What’s interesting is that at 26 weeks post injection, things seem to be reversing with 45% of injection patients reporting relief compared to 83% of the wait and see group. At 1 year after injection, this had increased to 68% and 90%. This would seem to indicate that any short term gain with injection might well be followed by long term pain! Studies comparing Physiotherapy treatment (loading exercises and manual mobilisation which the patients can repeat themselves) and injection, showed similar improvements in both groups at 6 weeks (65%) but at 1 year afterwards, the Physiotherapy group reported a 94% success rate (Vincenzino, 2003, 2007). This would seem to suggest that patients who seek Physiotherapy treatment for tennis elbow, make expect similar results in the short term as those having a steroid injection but also make much greater improvements over the longer term. To discover whether having Physiotherapy and a steroid injection would offer even better results, Coombes et al (2013) and Coombes (2009) divided patients into 4 groups. One group had a steroid injection, the second had a placebo injection (no steroid), the third combined steroid injection and Physiotherapy and the fourth combined placebo injection and Physiotherapy. The key findings are that adding Physiotherapy made no difference to the steroid injections short term effectiveness in relieving pain, or indeed the subsequent drop in effectiveness at 26 weeks. However, at 1 year follow up, there was 100% success in patients who had the placebo injection, compared to 93% who had just the placebo injection. There was only 84% success in the steroid injection group and this did not improve if combined with Physiotherapy. The study would seem to back up the observation that having a steroid injection for tennis elbow whilst bringing short term pain relief may well contribute to a longer term pain problem. In addition, patients receiving a steroid injection were much likely to suffer a recurrence of their pain (54%) than those groups who had just Physiotherapy (8%) or took the wait and see approach (9%). Vincenzino’s conclusion is unsurprisingly that all patients are different. What is apparent, is that steroid injections are clearly not the answer, even when combined with Physiotherapy. In those patients with less severe pain or non heavy manual jobs, the wait and see approach might be advised. Physiotherapy should focus on gradual loading programs (strengthening) and manual techniques which can reduce pain, should be taught to the patient as well. If you or anyone you know is suffering from elbow pain and would like to have a physiotherapy assessment for suitability of physiotherapy treatment, contact us here. Vincenzino B, Evidence-informed approach to managing chronic tennis elbow: injections, physiotherapy or wait it out? Intouch, 2016, 155:4-8. This entry was posted in Head2Toe News on September 27, 2016 by Sam Bowden. A huge well done to Adrian Groome who got team Gold and an individual Bronze at the British Taekwondo International Championships. We have been privileged to work with this excellent committed young athlete through a very difficult last 6 months. Diagnosed with a nerve impingement and hip infection, he thought he would not be able to train let alone compete. With a great deal of hard work he managed to get himself to the Championships and achieve some wonderful performances. We only wonder what he could achieve if he had been able to train throughout the last 6 months! To top it all off, Adrian has just found out he has been selected for the elite squad! Adrian is looking for sponsorship to help with travel costs while representing Great Britain in International Taekwondo events. If anyone would like to help this talented young man, please contact us by clicking this link and we will put you in touch. This entry was posted in Head2Toe News on September 20, 2016 by tim. Did you know that we offer hypnotherapy at Head2Toe in Crawley? Not just for stopping smoking, losing weight or overcoming a fear. Hypnotherapy has amazing potential which, in the last few years, I’ve been lucky enough to have witnessed first hand as a therapist, both as a Sports Therapist and later as a Hypnotherapist. 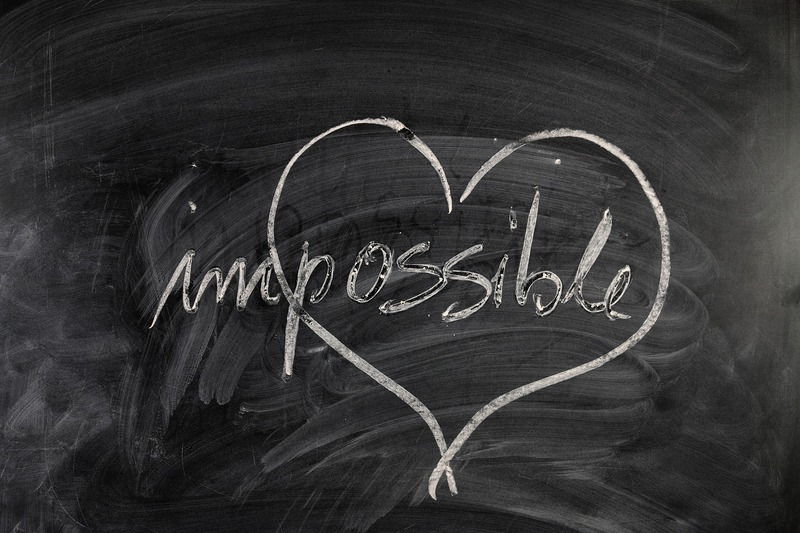 Hypnotherapy gives you back the confidence you need to be the best that you can be. Here are some of the ways hypnotherapy can help. The most important thing I help you learn is a specific kind of relaxation. A focused relaxation. Turning off that constant voice in your head that creates internal arguments, the one that says things like ‘I can’t do that, I’m not good enough’. With tension comes tense muscles. Imagine how great it would feel to relax enough to allow your muscles to let go too. I see CEOs who use my hypnotherapy sessions to reduce negative stress, allowing them to become focused and more effective in their job. Regularly gaining further promotions too. Another of my clients has just got to the finals of a national dance competition. She wanted more focus in her movements. A better edge to her dance. How can hypnotherapy help with lack of confidence or self esteem? The subconscious mind does not distinguish between reality and creating a mental story. Once a client is relaxed I ask them to create a positive image around their confidence issues. This may be asking them to imagine the scene whilst relaxed or another method. I had a client a few years ago who was so shy I could barely hear him on the phone. Three sessions later this young guy, who initially was too worried to leave the house, contacted me to tell me he’d be using his new found skills and had been on train journeys and talking confidently to all kinds of people. I was also an extremely shy person and used hypnotherapy to overcome this. Now I stand on a stage and talk to people for two hours with confidence. People describe it to me as that feeling that can creeps up from nowhere but makes the world feel like it’s closing in around you. Their heart races, they just can’t catch their breath. Some have even described it as like standing and staring a lion in the face in a room with four walls and no door. I teach them the amazing and most powerful tool that they already posses, their own breath. Think of it like standing at the door with a bunch of keys wondering which one will work. Without realising that it wasn’t even locked in the first place. These are just a few of the incredible conditions I get to work with. If you’re wondering if hypnotherapy could help you. Just ask me, I don’t bite I promise. We did it. Head2Toe Physio Run Reigate! 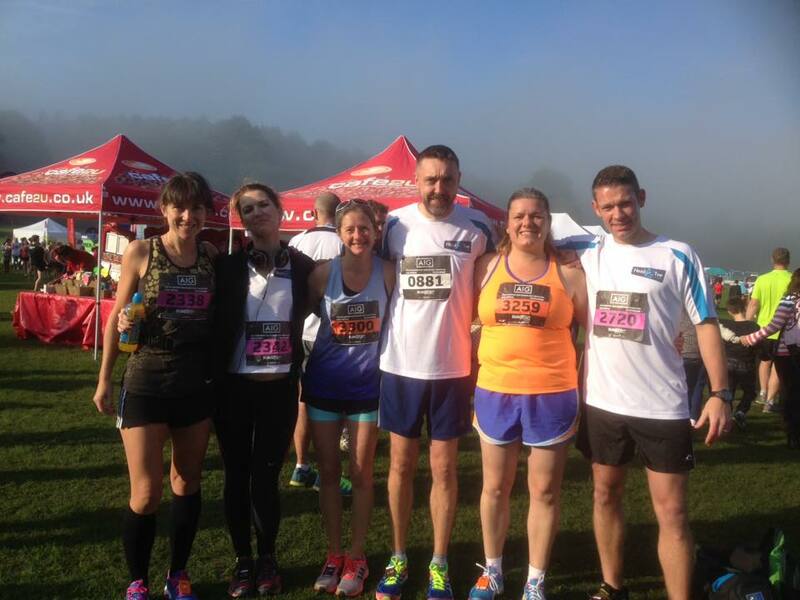 After some serious badgering from our patients, we finally caved in and decided to Run Reigate 2015. In normal circumstances we’re the ones giving advice to our patients but this time around we wanted to prove that we could walk the walk and were up for the challenge. 8 of us were running for Head2Toe Physio, although a combination of the mist and the seriously large crowds on Sunday morning meant we managed to lose 2 before the photo! (Sorry Shona and Fiona). The event set in the market town of Reigate started cold and misty and finished in bright sunshine. Along the way we took in some beautiful country lanes and countryside. The locals were out in support offering a great mix of noisy support and jelly babies. It was nice to see loads of my patients along the way and even more of them running too. I’m happy to say that we all made it back in one piece and most of us may well be back for another go next year. This entry was posted in Head2Toe News on September 21, 2015 by Sam Bowden. World Reflexology Week 21 – 27 September 2015. Amanda Collins works at our Dorking and Leatherhead clinics. 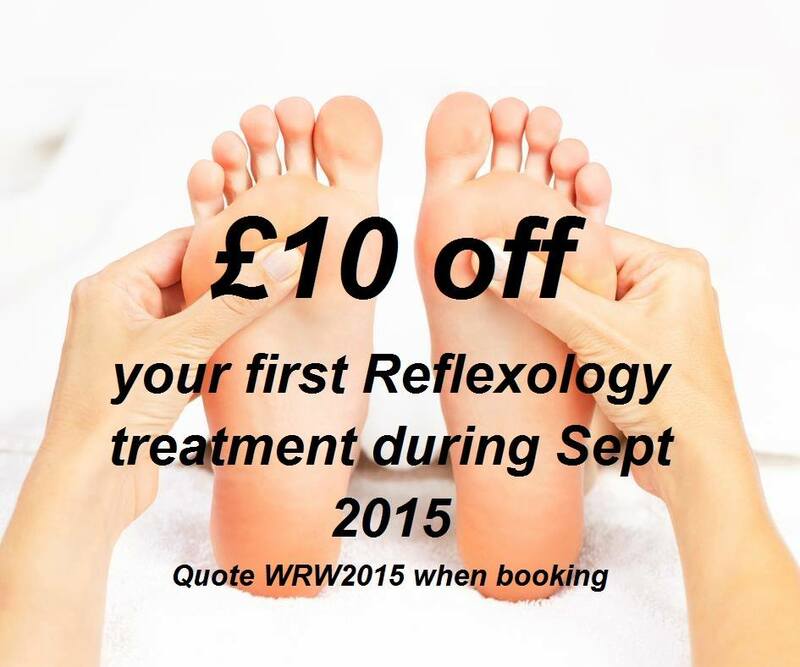 Book now to get your £10 off your first Reflexology Treatment. This entry was posted in Head2Toe News on September 16, 2015 by Sam Bowden. We welcome CAROLINE TELFER to our Crawley Massage team. At Head2Toe Physio clinics we know that what our Physiotherapists do best is ‘Physiotherapy’. We wanted to offer our patients high quality sports massage to complement our Physiotherapy and set about appointing dedicated Sports massage therapists. 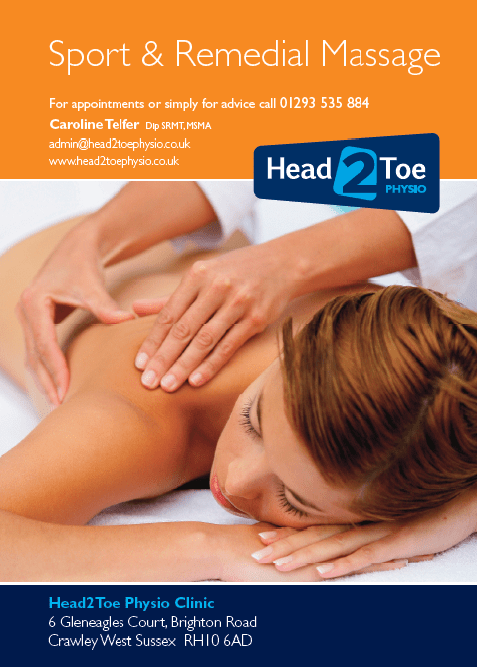 At Head2Toe Physio Clinic Crawley, our new Sports massage therapist is Caroline Telfer. Caroline retrained as a massage therapist in 2012 after a successful corporate career. Her interest and subsequent career choice stemmed from her personal experience of the effectiveness of sports massage therapy to manage muscular pain, sports injuries and enable optimum training. During her time as a student at NLSSM she developed an extensive tool box of both foundational and advanced massage techniques which she has expanded through an annual program of continued professional development (a minimum of 40 hours per year). Hands on skills and a natural talent for problem solving have enabled her to excel at assessment and evaluation of her clients, as well as their treatment. A lifelong cyclist both on and off road and a keen masters swimmer; Caroline’s experience of participating in these sports has informed the treatment of the many swimmers and cyclist she has met in her clinic and through an extensive event work programme. She brings her passion and knowledge of these sports into her work, and working relationships. Caroline finds that the satisfaction that comes with delivering a treatment plan that allows a client to realise their goals is highly motivating. She says ‘’My work whether it is with a sports team, in a clinic setting or at major events provides a unique buzz and set of challenges; a mix that means it is always interesting. But by far the best and most enjoyable aspect of my work is seeing the smile on the client’s face as they get off the couch, move with ease and realise they are no longer in pain’’. If you or anyone you know would benefit from a massage whether it be for stress relief or a sports massage pre or post sport contact us now. This entry was posted in Head2Toe News on September 13, 2015 by Sam Bowden.